Washington, Jun 6 (Just News): Secretary Mike Pompeo met with Singaporean Foreign Minister Vivian Balakrishnan on June 5, 2018, reaffirming the strong U.S.-Singapore strategic partnership. This partnership includes the U.S.-Singapore Free Trade Agreement, the first U.S. bilateral free trade agreement in Asia. Secretary Pompeo and Foreign Minister Balakrishnan discussed collaboration in multilateral forums during Singapore’s 2018 chairmanship of the Association of Southeast Asian Nations (ASEAN), as well as ASEAN’s central role in the Indo-Pacific region. They also discussed continued bilateral cooperation and multilateral engagement on regional security challenges including the South China Sea and counterterrorism. 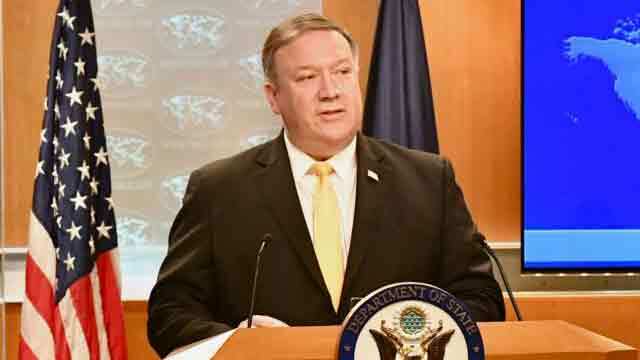 Secretary Pompeo expressed appreciation for Singapore’s willingness to host President Trump’s meeting with North Korean leader Kim Jong Un on June 12.